The old wheat way: in the past Romans considered Sicily as one of the most important wheat and wood suppliers; large forests and wheat fields covered the island; after the harvest those products were stored in strategic locations and from there shipped to Rome. One of the most important harbour was Halaesa (5); the ruins of this old city are preserved in the archeological site of Halaesa, about 10 km away from Casa Migliaca. To reach it follow SS113 driving in direction of Palermo for 1 km and turn left on the road leading to Tusa. After about 3 Km you’ll find the archeological site. For the same purpose towers intended to store wheat had been built; one of these, Torre Migaido (6) is in perfect conditions and still used but for different purpose. It is sited only 7 km away from Casa Migliaca direction Castel di Lucio; from there is possible to visit a local farm with a daily production of cheeses. The shortest way to reach the large wheat fields of central Sicily is going toward and past the town of Castel di Lucio and after a few km turning on the right side on a bumped road leading to Gangi and S. Mauro Castelverde through Passo di Malopasseto; from the saddle (passo) (7) is possible to admire the landascape characterized with wheat fields. – Along the coast: on the main foreland Normans had built spotting towers; toward Finale di Pollina about 12 km away from Casa Migliaca on SS113 is one. Today it has been restructured and turned into a private house thanks to a time limited licence. – Pettineo: a small town of 1.600 inhabitants, on its territory lies Casa Migliaca; cosy neat and trim, the buit-up area is located around the ruins of the old castle; dense of steep narrow streets with citrus trees growing in the small garden of the houses. Should be taken a walk along lanes and courtyards of its medieval centre to discover beautiful landscapes among steeples and monastery and local people always sociable and open to foreigners. – Mistretta: a middle ages town perfectly preserved which maintain the original architectural characters and somehow the lifestyle… a must to visit. Mistretta is sited 16 km away from Casa Migliaca; 200 m past the town of Pettineo toward SS113 turn right and climb to Motta d’affermo and keep going on the same way (30 min). – S.Stefano di Camastra:pleasent town on the Tyrrhenian coast; it is well known for the Art school of ceramics and numerous ceramics factories and a variety of shops on its main road. 14 km away from Casa Migliaca, reach SS113 and turn right direction Messina (20 min). 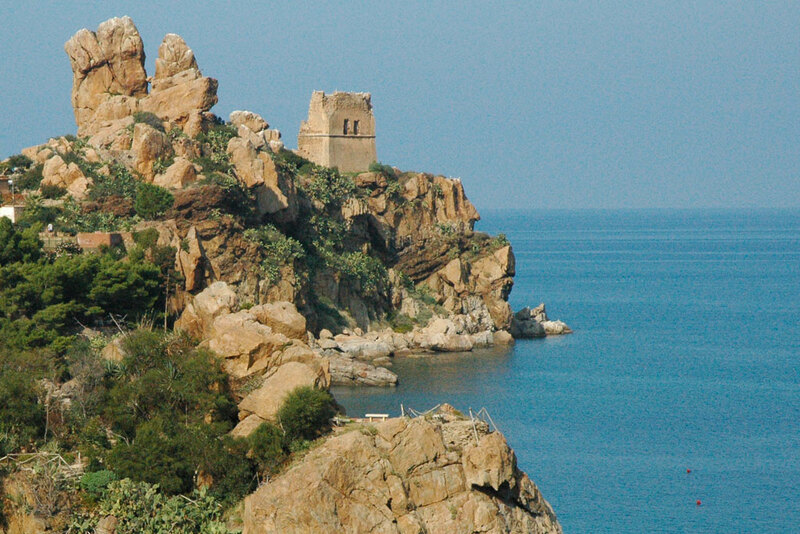 – Cefalù: the most touristic town of the area, features a Norman- Arabian style. 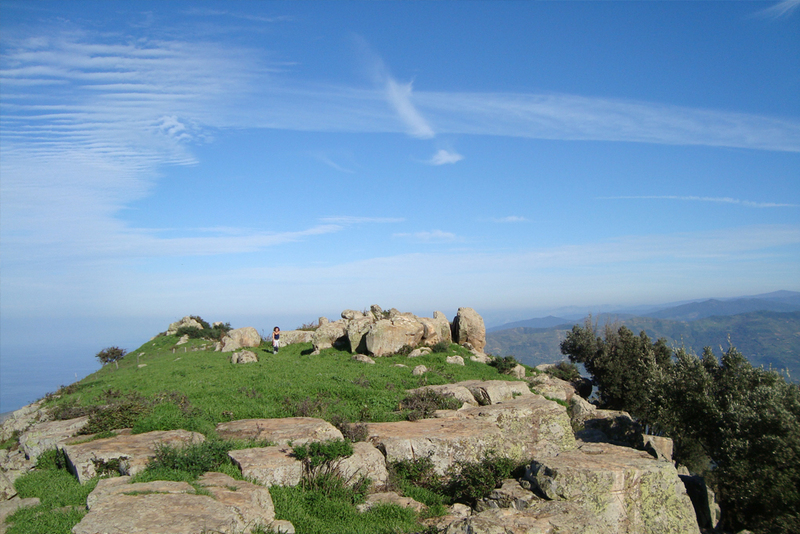 The musts are: the Cathedral, the Lavatory, Mandralisca museum and for the most willing a climb on the rock to the Diana temple and the summit. The town lies about 30 km from Casa Migliaca on the SS113 in direction of Palermo (40 min). 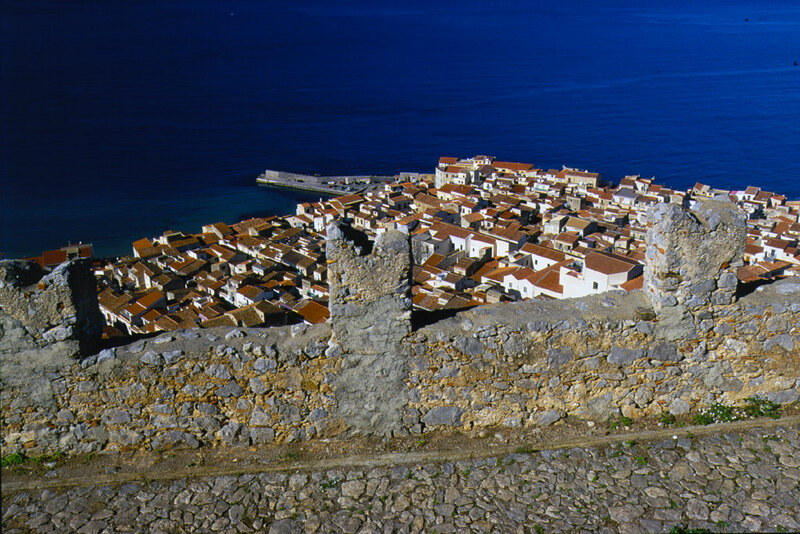 – Pollina: the anfiteatro and a peculiar geographic location on a very steep hill make it worth to be visited. 25 km from Casa Migliaca, follow SS113 direction Palermo and turn left at Finale di Pollina according to indication to Pollina. (40 min). Castelbuono, Geraci Siculo, Petralia Soprana e Sottana and Polizzi Generosa are all interesting middle ages towns on the Madonie mountains (40 min – 1,5 hours). – Sperlinga: a Castle digged in a big rock, troglodytes houses and new houses with basements in the rock: unique. 40 km away from Casa Migliaca is reachable from Mistretta and farther on toward Nicosia or from Castel di Lucio, toward Gangi and then SS120. Old Gangi: a few km away from Sperlinga. – Tindari: the Monastery and the black Madonna are still pilgrims destinations. About 100 km direction Messina on the A20 exit Falcone (1,2 hours). Tirrenian coast in proximity of Casa Migliaca shows a wild aspect with pebbles and rocks and offers a number of sites hardly frequented because of little difficulty to be reached; however in Castel di Tusa are beach resorts. Very gracious the beach in town in front of bar ristorante Le Lampare. To those who like the sea in solitude and close in touch with natural roughness two beaches are suggested: Park the car at km 163,3 of SS113, then descend a trail by opening a gate that unknown have placed on public land (20 min. from Casa Migliaca). Park the car at km 168,9 of SS113 and step over road fences (25 min). For those who love sand beaches with facilities, bar, restaurant, renting, etc. Pollina and Cefalù in direction of Palermo or Capo D’Orlando in direction of Messina are suggested (40 min – 1 hour). little farther Capo Calavà near Gioiosa Marea and Tindari both in direction of Messina (1,2 hours). Casa Migliaca is located in central position between Nebrodi mountains and Madonie mountains and in proximity of the Sambughetti massif which is the origin of Tusa river. By walk or bicycle, Several excursions of various length and difficulties are possible. Madonie mounatains are steep, rocky and above a certain altitude without vegetation; the highest point Pizzo Carbonaro is close to 2000 mt and is reachable from Piano Sempria or Piano Battaglia (2-3 hours walk). Even in summer during the very hot days, up there the sun is violent but the air fresh. Beside the excursion to Pizzo Carbonaro, many other hikes are possible from the same departure spots or from Geraci Siculo, Polizzi Generosa and the Petralias; days with different interests can be combined. Close to Petralia Sottana has been realized the first Adventure Park of Sicily. The ascent of Monte Sambughetti – Campanito is a low difficult but highly satisfying itinerary. The Trail begins just after Sella del Contrasto, on the road connecting Mistretta to Nicosia; once on the top at about 1500 mt. it is possible to admire from the same point the green Tyrrhenian side of the massif, the south side toward the inland turns yellow from june to September, and in high visibility days the huge shape of Etna and the aeolian islands complete the landscape. Nebrodi mountains are covered with woods and vegetation and offer a variety of floral species and several small lakes fed by underground streams or springs where often are met different fauna species. On these mountains fresh promenades and treks can be done. Rocche del Crasto, a big massif located above the town of Alcara Li Fusi shows a Dolomite look in the wooden landscape of Nebrodi. This massif is given of high and steep rocky walls; a steep trail connects Alcara Li Fusi to the summit. Horse rides are possible nearby Casa Migliaca, Nebrodi and Madonie mountains. the choice here is “which” Sicily? Although Sicily is an island, not everyone realizes that it covers 25.708 square Km (9.942 square miles), is the largest island in the Mediterranean sea and due to its geographical location, its climate and its natural resources was the crossroads of peoples and cultures from Europe, Asia and Africa from the beginning of its history to the discovery of the new continents in the XV and XVI century. History and morphology, religions and civilizations are intertwined, often generating contradictory characteristics in Sicily’s three main physical areas, so called “VALLI” during the Arab era: VAL DEMONE in the north, geologically Europe; VAL DI NOTO in the south-east, practically middle-east; VAL DI MAZARA in the south-west, morphologically Africa. Simplifying, three different sets of travel routes towards… different continents. 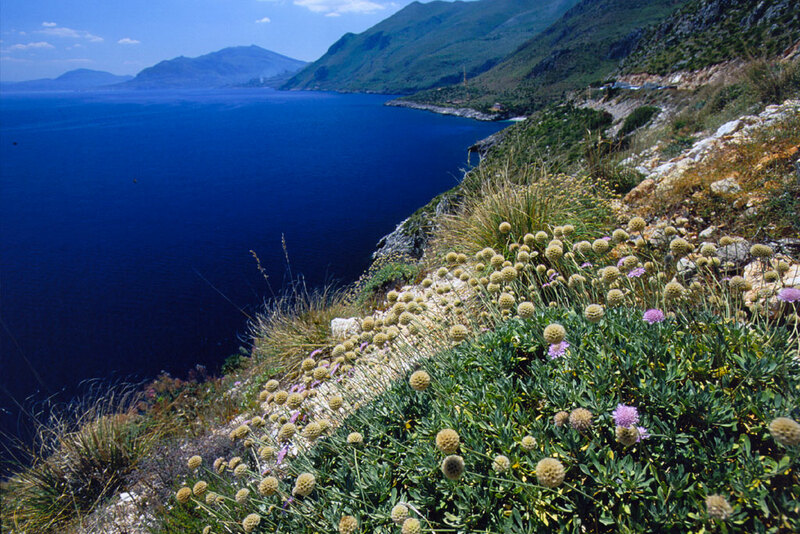 – Westerly Route: you may choose to catch a glimpse of Palermo with its flair, but don’t expect to be able to visit all its monuments and architectural treasures in just a few hours. Stroll through the streets, neighborhoods, markets, palaces and churches to get a “feeling” for this major Mediterranean city, half way between Europe and Africa. 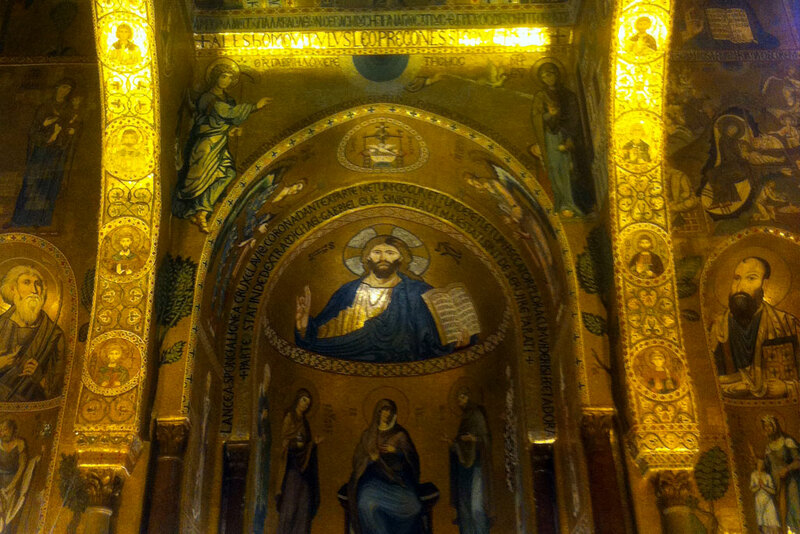 Alternatively, you may visit Monreale and its Cathedral with its magnificent mosaics and Cloister. As a further alternative, if you prefer landscapes, you may tour the coastline around Palermo to discover the beautiful and picturesque sea villages of Porticello Santa Flavia and Sant’Elia. -Easterly Route: criss-crossing between the densely wooded Nebrodi and Peloritani valleys, you will discover places of exceptional beauty, such as Caronia, San Marco d’Alunzo, Militello Rosmarino, Alcara li Fusi, Mirto, Naso, S.Angelo di Brolo, Patti, and other villages cast between land and coast. In the 1700’s this area was the center for farming of the blackberry-silkworm; many of these villages produced as much as 5000 pounds of silk each. If you still have time, go to Mirto, a small village on the Nebrodi hills. 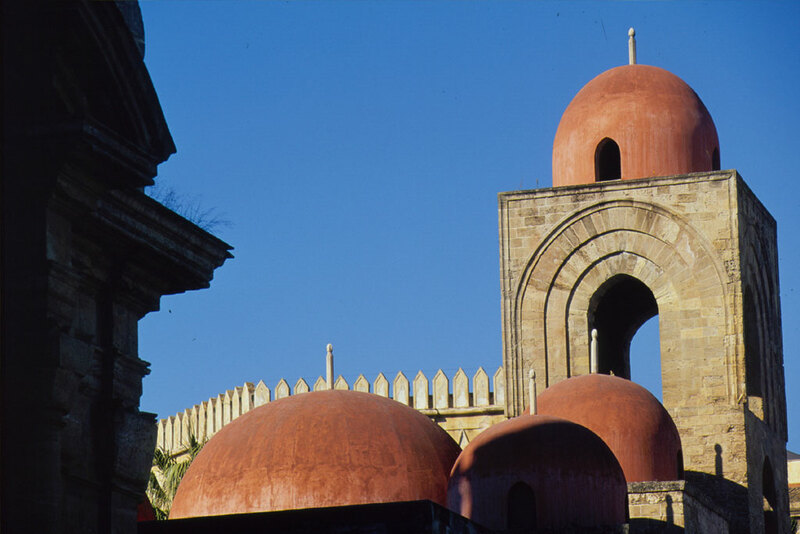 Visit its small museum of Sicilian fashion and XVII century folklore, housed in an aristocratic palace. At Patti you can visit a Roman villa of the imperial period and you can close off the Tour at Tindari, one of the last Greek colonies founded in 396 A.D. at the top of the Tindari promontory. From the ruins of the antique theatre you can enjoy a limitless view of the Tyrrhenian Sea and of the seven Aeolian Islands. 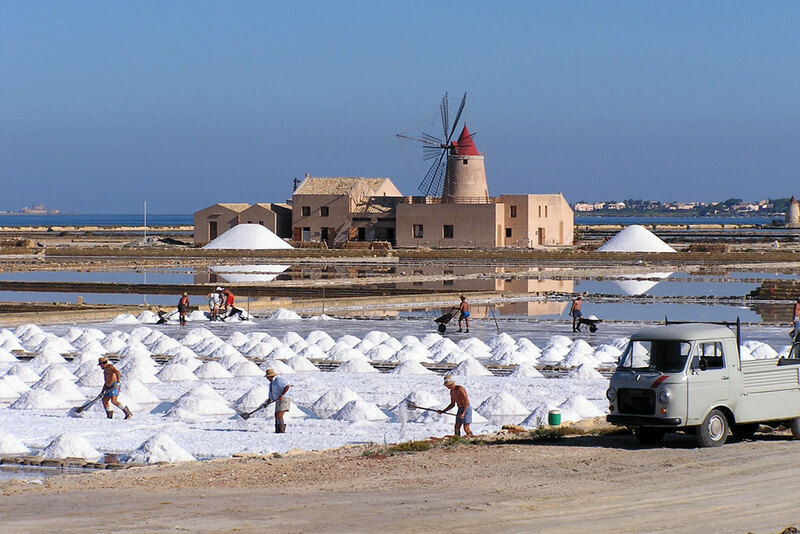 -Southerly Route: offers a host of itineraries, too large for a tour limited to 12 hours, and requires choosing; however, one must give priority to the two sites of world renown, namely Piazza Armerina and Agrigento. However, we strongly recommend not to leave out Taormina. Piazza Armerina houses a great Roman villa dating to the late Roman Empire, which is miraculously preserved in every detail including its exceptional mosaics. 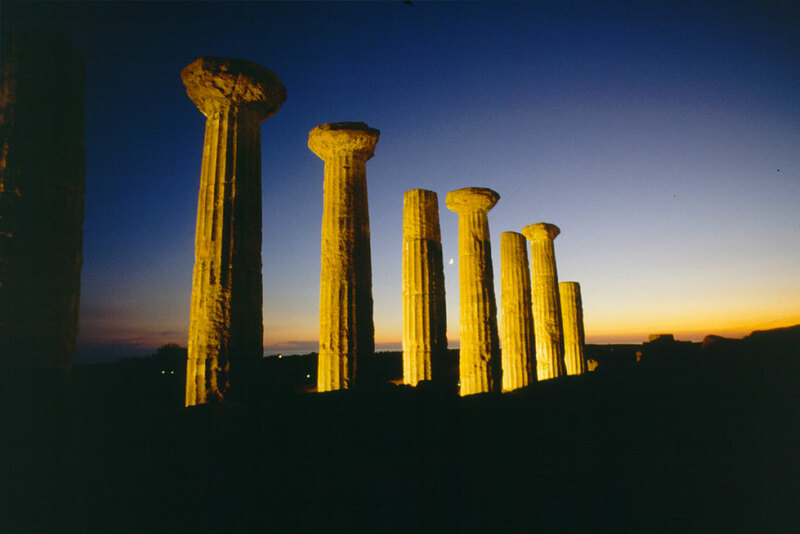 The other site to visit is the vast archeological park in Agrigento: the view of the Valley of Temples, the archeological museum located in the ancient Agora, and the majestic temples eternally reaching for the skies in the kaleidoscope of light and colors that is the Sicilian landscape, will take your breath away. 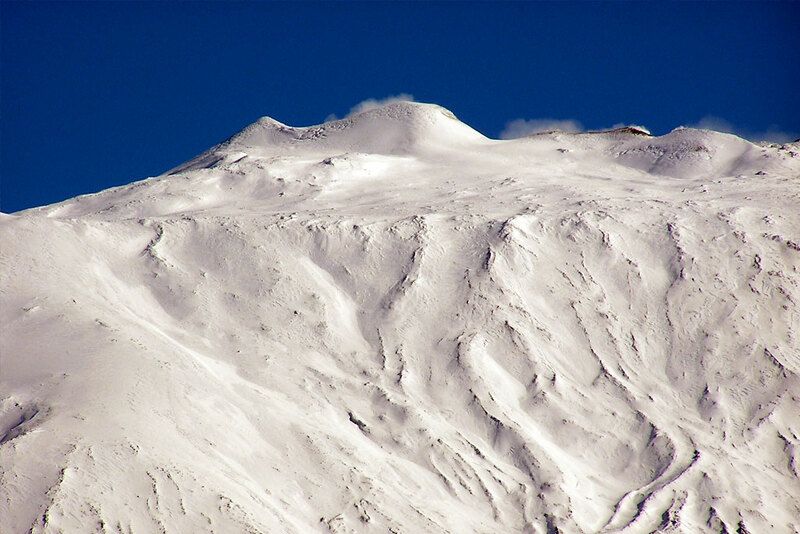 Casa Migliaca is a convenient base from where to start for a visit to Etna. It can be reached in about two hours: one can leave in the morning at eight o’ clock and be back easily at dinner time. There is the possibility to choose between any one of several itineraries. For instance go to Etna via A20 until to Capo d’Orlando, then across Nebrodi hills to Floresta (1200 m asl) with a beautiful sight over Tyrrhenian Sea and Aeolian Islands; then descend to Randazzo (754 m asl) in the valley of Alcantara river with a spectacular view over Etna, then, along north-east side of Etna, down to Linguaglossa ( and up to Piano Provenzana at an height of 2000 m asl. The return can be made via Linguaglossa, Piedimonte Etneo, Fiumefreddo in the east coast. From here one can take A19 to Messina, then A20 westbound to S. Stfano di Camastra. There are many possible alternatives depending on the curiosity and skill of the visitors and their interest in vulcanology and its phenomena. Besides science, one can discover the pistachio groves of Bronte and the famous pistachio sweeties, delicious. Or like to discover Etna wines by visiting the best cellars. For the latter exploration, it is advisable to have available an abstemious guide-driver. It is well known that Sicilian wines (especially in that territory) are recognized to be… generous. 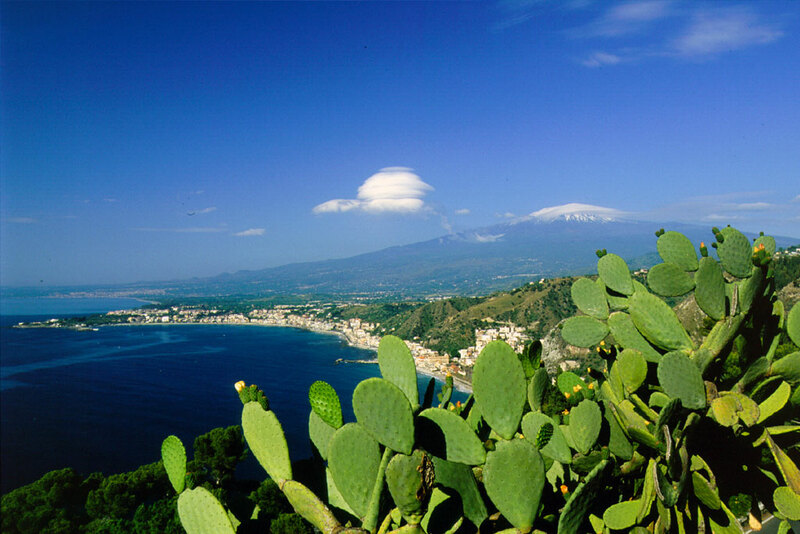 Etna was named in the past Mongibello (from latin mons and arab gebel) which would mean the mount of mountains. Nowadays there is a return to the more antique greek name. It is 3350 m asl high, has a base perimeter of 250 km, a pseudo cone surface of 1300 sq km. It is an active volcano “young” and therefore “lively”. ; the first phenomena are believed to take place “only” 700.000 years ago in the middle Pleistocene. 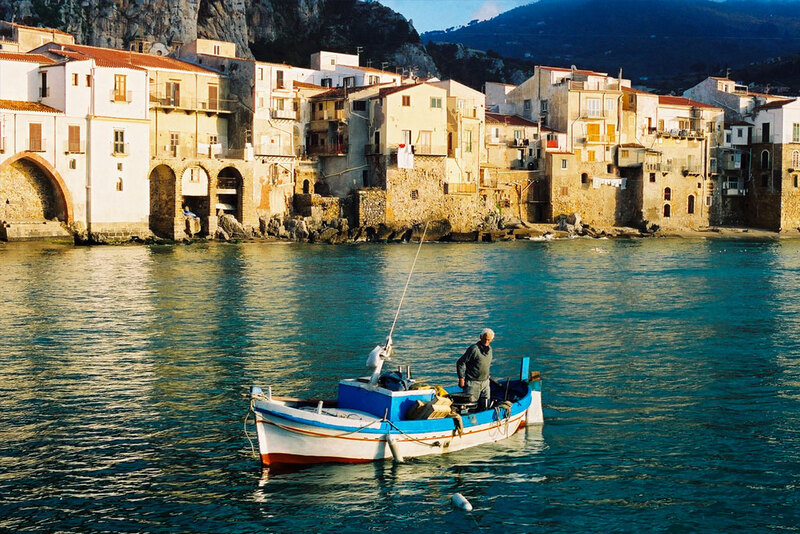 It was born from the sea when Sicily was a great archipelago composed by many small islands. The area now occupied by Etna was probably a great gulf. Its thousands of years old and continual activity has built-up an unique volcanic system in many aspect different from other volcanos. Of its peculiar morphology can be mentioned. a) The Dikes (Dicchi) in the “Valle del Bove”. They are relicts of the primeval structure of the volcano, made of intrusive rocks. b) Caves formed by flowing molten lava. During eruptions, tunnels may be formed such that lava flow inside remains hot and in molten state whilst the cave’s walls become cold and solidify. As a consequence long (up to 1500 m) caves may be formed. Hundreds of them are found in the etnensis system. One such cave, “Grotta del gelo” (Grotta of ice), at a height of 2000 m preserves ice in its innermost year-round. It is the only “glacier” that can be found in the Mediterranean Sea area. c) The surface of the etnensis cone is pitted with many subsidiary (or temporary) craters, even at low heights. In the center of Catania, the so called “Ascent Sangiuliano” is the slope of an ancient explosive crater (i.e. emitting gas and “lapilli”, not lava). 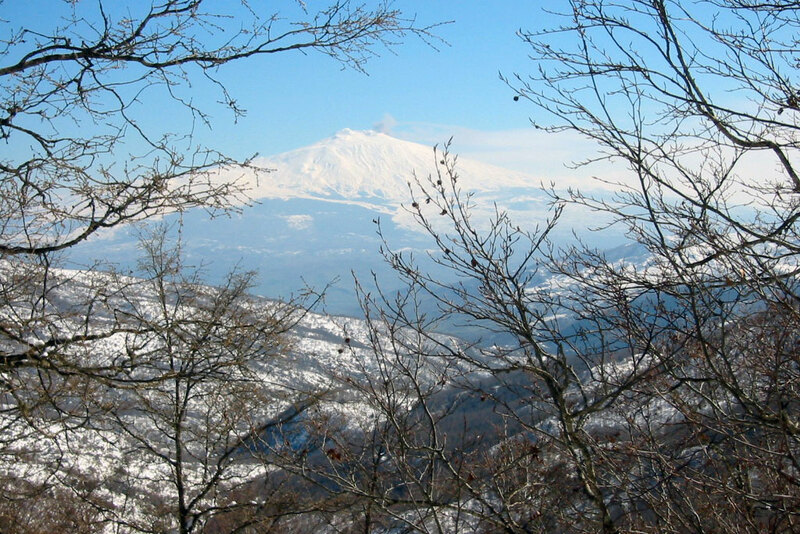 In ancient times, the slopes of Etna were rich of thick forests. At lower heights anthropization has caused many of those forest to be replaced by rich citrus and orange groves, gardens, vineyards. The well known “Nerello Mascalese” is obtained from a vine cultivar native of Etna slopes, Above 1000 m asl a scattered forest zone has developed : at lower levels prevail chestnut, ilex, ashy, at higher level larch, still higher beech and birch; the variety “Betula Aetnensis” may go up to 2300 m asl, a botanic rarity found mainly on east slopes of the volcano. From this height up to 2500 m asl, the volcanic landscape is characterized by scattered “Spino santo” bushes (Astragalus Aetnensis) whose strong radical apparatus fixes vast extensions of the otherwise sterile volcanic summit and start its colonization, giving in addition shelter to smaller and more delicate creatures (such as Senecio Aetnensis,Viola Aetnensis,Rumex Aetnensis,Seleranthus Aetnensis,Saponaria Sicula, determining unique botanic associations). Above 2500 m asl only some minuscule herbaceous species can be found up tp 3050 m asl where, on the west side, between Main Crater and Punta Lucia Anthemis Aetnensis and Senecius Aetnensis may be found . Above 3050 m asl there is only a barren desert, battered by impetuous winds with prevalent W/NW direction, ambient temperatures often falls below freezing point (while the ground may be hot). There, silence is broken only by the wind’s whisthling and by the giant’s dull mumbling that rises from the abyss.